Aaron and I were in the Vegas FAO Schwarz and saw these roly poly stuffed animals from Dog Park. 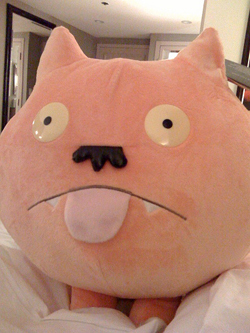 Aaron got me one which I really thought was a cat, but the tag said he is a pomeranian. It was challenging to wrestle him onto the plane, but I got him home! Umm...how big is it? I can't tell from the picture. But if you had to wrestle with it on the plane...I'm guessing big. It is a very nice idea to make a dogs park, in this way there werent a lot of them on street, so that we have more care of them. Hi. 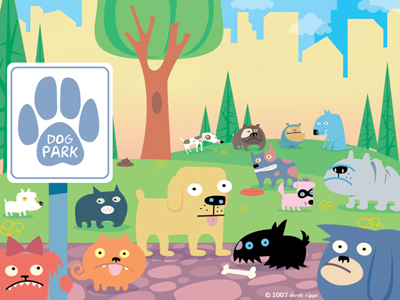 What is Dog Park? I can't find anything about it.